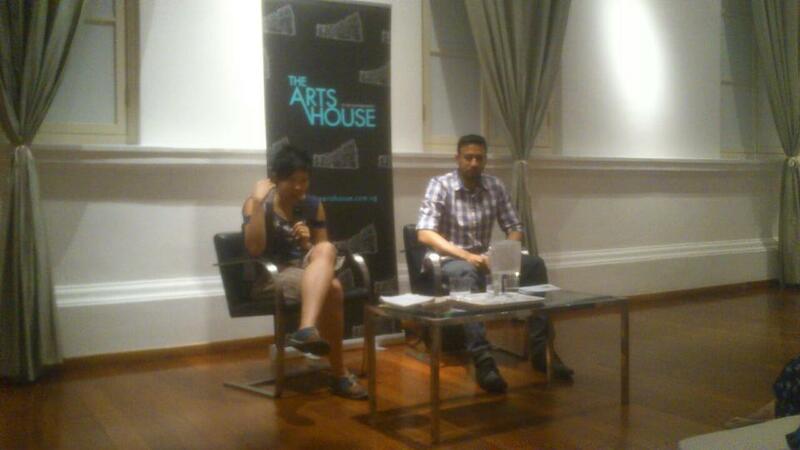 Someone at the Singapore Arts House decided to invite me to get interviewed by and answered questions with poet Marc Nair and performed poems in-between. It was my first paid gig in Singapore with most of my family there, plus old school friends, new friends, and random strangers. Someone called me a cultural icon (NO YOU CANNOT GO AROUND SAYING THINGS LIKE THAT FARHAN) Felt really really a lot like a Legitimate Poet. 2. Forget What You Heard (About Spoken Word) bloody took off in a huge way. 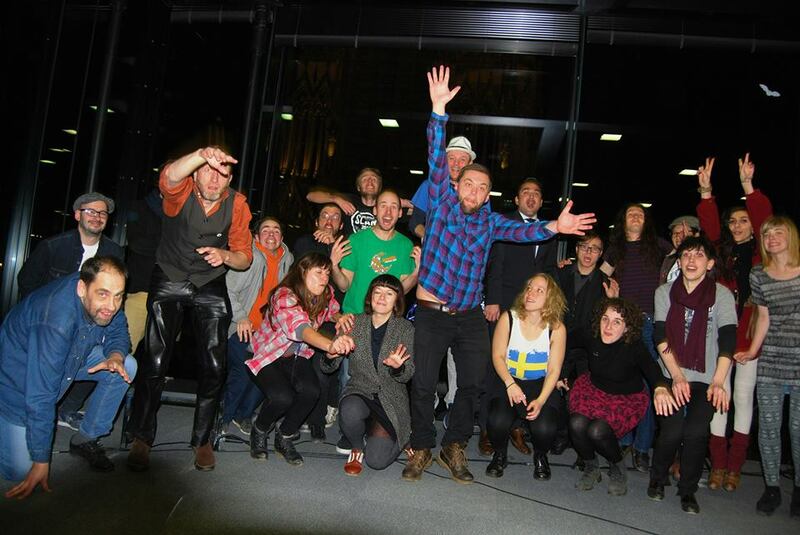 It went from a small, humble cozy one-month old open mic night in January to an explosion of awesome. THANKS A MILLION EVERYONE BUT ESPECIALLY MATT CUMMINS FOR MAKING IT HAPPEN. We had our first review in Sabotage Reviews, and word of our reputation as ‘London’s friendliest open mic night’ spread far and wide. We had a Saturday afternoon show, pulled off an Edinburgh show, killed it as a spoken word segment of a Freshers Party at SOAS Freshers Week, and had poets from as far away as Vancouver, Singapore and Oxford come and feature. Most of all, we grew a sweet community around us and made some incredible friends this year that we couldn’t have met otherwise. The night now has a podcast, website and a legendary banner. Leaving it as a host was kind of like letting a small bird you raised from an egg fly away. But how it flies. Fly far, Matt and Rikki. 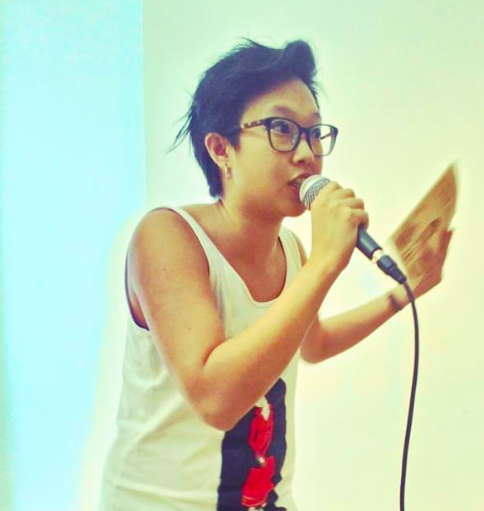 Had the huge ridiculous opportunity to go to Paris to represent the UK in the Poetry World Cup, to perform poems in English front of lots of French people in a big theatre in the heart of Chinatown together with lots of poets from different countries in over a dozen languages. Also, get really ridiculously inspired, eat oysters with a Swedish poet, laugh at dead people at that famous cemetery with poets from Finland and Portugal, look for mattresses to sleep on and find wine instead at 4AM with the poets from Israel and America, get trapped at an intense French party with the Norwegian poet, laugh at Monty Python references with the Danish poet, make some cool videos, perform a poem while French Contemporary dancers danced to it through interpretive dance, paint poetry on fences and drink large amounts of really cheap Leffe Blonde beer in the sun with everyone else and Matt Cummins. I was a poet-terrorist superstar for a season or two. Teamed up with Jason Pilley to write, choreograph and perform The manifesto, in what someone described as the Grand Theft Auto of performance poetry. Toured almost all the London poetry stages to bring it to the masses, ending up in a warehouse in Ruislip where my friend Sky managed to catch us on video. 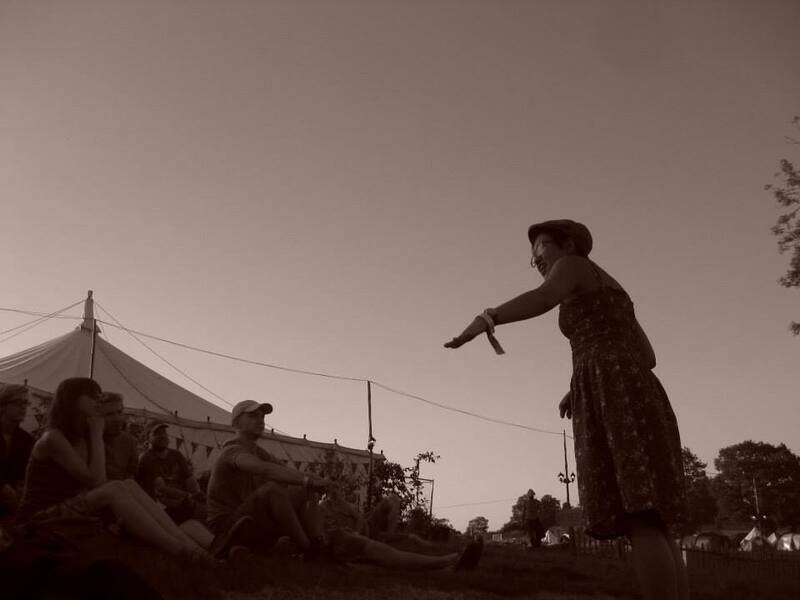 Arghhh…somehow ended up performing at the Glastonbury Festival’s Poetry and Words Stage this year. I didn’t believe it until I was actually there. It was kind of nuts camping with some of my favourite poets in the world at the most massive music festival in the world, and meeting new poets who would soon also become my other favourite poets in the world, walking/running/dancing/slipping through this great huge fantasyland with more poets. Also performed at the magical Small World Festival Tribal Voices fire for the first time in May, then August with Space Girl’s Poetry Salon where I hosted a poetry bonfire containing poets much greater than me, and stayed up till dawn with all kinds of characters (real and fictional), made a totally worthwhile great escape from Montenegro to get to slide in more mud in my sandals at the rollicking poetry takeover of the Nozstock Festival, and ended the summer amidst rain and shadow puppets at the Over the Moon Festival with Kate Walton and the Poetry Salon. Went back to Edinburgh with an improved show with the same title as last year, and killed it, even if I stopped caring who saw it. Stayed in a flat filled with poets who had a knack for randomly breaking into spontaneous 90s dance parties. Brought a suitcase full of law text books to Edinburgh. Studied for law exam re-sits during my free afternoons at the Fringe. One of the above is a lie. 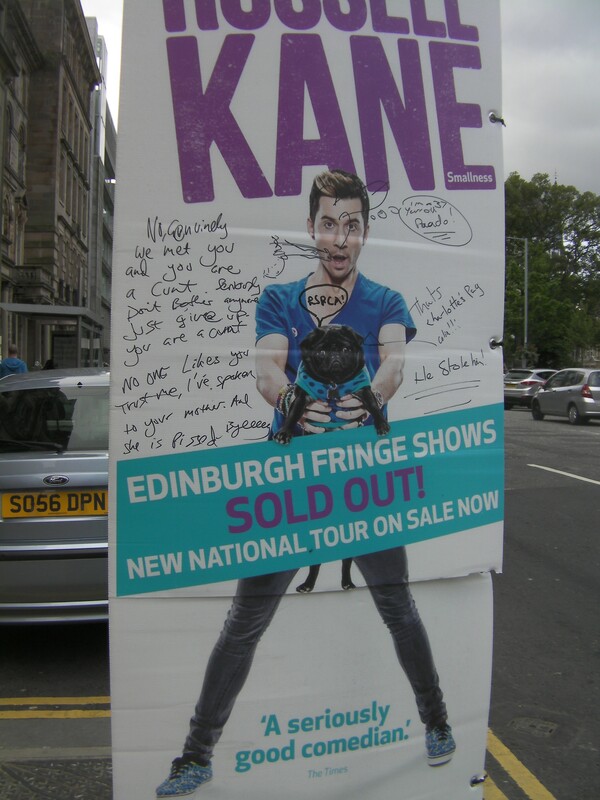 I swore I would not return, but my second time round in Edinburgh was a lot more fun, and less frightening. It helped that I knew many more people from last year and took it all a lot less seriously. Did my show, hosted Forget What You Heard’s Edinburgh edition, did tech for David Lee Morgan’s show (and basked in the glory when it got 4 stars), loved on the sisterhood of the Other Voices Cabaret, ran around to like a hundred other open mic spots and the BBC Slam and spent my first twenty-pound bucket donation on a round of overpriced Carlsbergs organic aubergines. Spent three Wednesdays stressing with the legends who are Zena Edwards and John Berkavitch over how to decide which of many amazing talented young poets was best. Then we had to explain to them how to get better. We all gave different answers. Go figure. But I was blown away by so many of them, especially since I didn’t start performing till I was about 21, and the Roundhouse is a sweet place to perform. I wanted to see where and how many places in the UK this poetry thing could take me to in 2013. A fair number, it turned out. I saw Bristol (performing then staying in a re-purposed school with Space Girl and others), Birmingham (Kate Walton’s I am Blackbird, U of Birmingham’s Grizzly Pear with Ben Norris, Hit the Ode with Bohdan Piasecki), Oxford (Hammer & Tongue and the Quiltbag Cabaret), Aberdeen (Demented Eloquence, a really cool scene and they want more poets from southernly places! ), Manchester (Black and Asian Writers Conference), Margate (Big Talk in the 2nd smallest theatre in the UK [apparently the smallest is too small to see]). I got invited to speak on a panel for the first time at the 7th Cultureword Black and Asian Writers Conference. A panel called ‘Women in the Spotlight’. It was freaking powerful discussing race and exclusion and gender and how it is being a person of Asian descent performing in the UK honestly in a safe/inspiring environment with lots of other writers. I never got to do that all that much in London, come to think of it. Also, getting to meet the cool people who run the Commonword organization which promotes and publishes writers of colour. Also, saw a double rainbow. Went on a tour of Germany for a month because the German poetry scene is MEGA HUGE AND AMAZING AND THEY LOVE INTERNATIONAL POETS SO EVERYONE SHOULD TRY AND DO A POETRY TOUR THERE. Was a sacrificial poet and stayed up till 4AM then watched a poets football match at 7AM at the German National Slam, performed in about 11 cities, rode many trains, got used to getting free alcohol/accommodation/Euros for performing poetry, hung out with Harry Baker in a forest, made a ton of new friends, figured out the organized-chaos way that poetry nights just come together epically in Germany, played a lot of table football, learnt that German poets are some of the friendliest people in the universe, learnt that ‘dogfoot’ in German is ‘hundesfusse’, found that you could tell a lot about a poem by the audience reaction (expressions, type of laughter, type of silence) without understanding a single word. 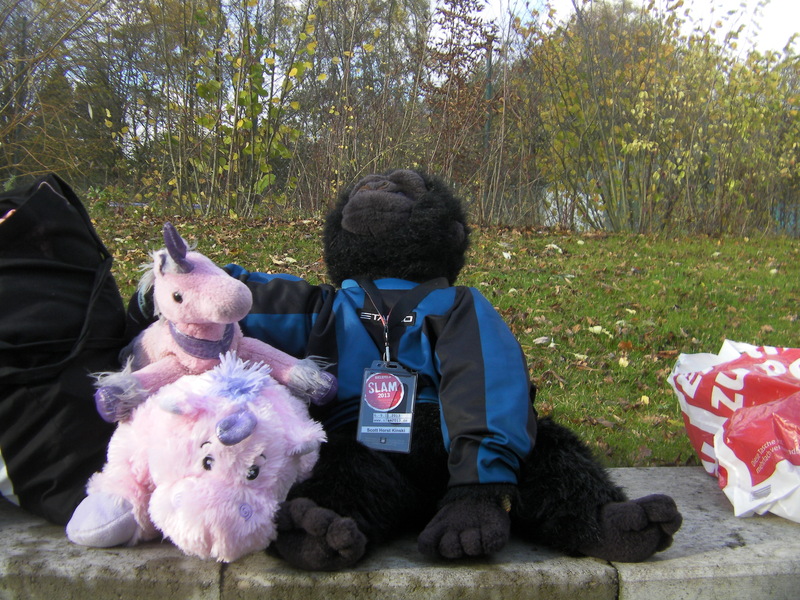 Oh yeah, and unicorn and gorilla mascots are a thing among certain German slam teams. Co-hosted and promoted bigged up the Hammer and Tongue Hackney Slam figuring out by trial and error and much hilarity how to host with a huge variety of wickedly talented poets like Sam Berkson, Raymond Antrobus and Adam Kammerling. Got to do a feature at it in April, supporting Tim Clare. 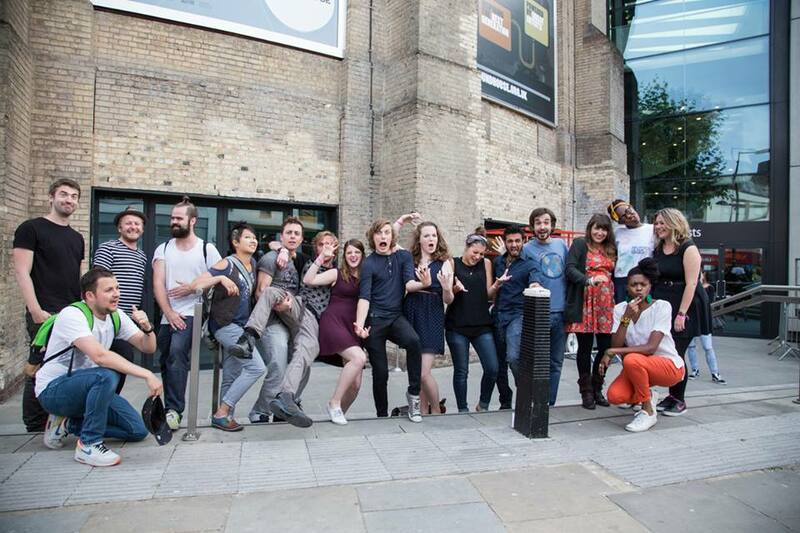 I think we were described as representing ‘the full spectrum of awkwardness’ in one night. If that is not a compliment I don’t know what is. Also got to see a huge range of incredible performers including Ross Sutherland, Kat Francois and Ian Keteku. Also saw Errol McGlashan smash everything and win the championships. It lives on. Was really cool to be the Bang Said the Gun’s Poet-in-Residence in April, a chance to be part of the Bang Said the Gun night for a month and get to know the crew especially Rob Auton, Peter Hayhoe, Dan Cockrill, Laurie Bolger and lots of other poets. Not to mention, David and his baked goods. 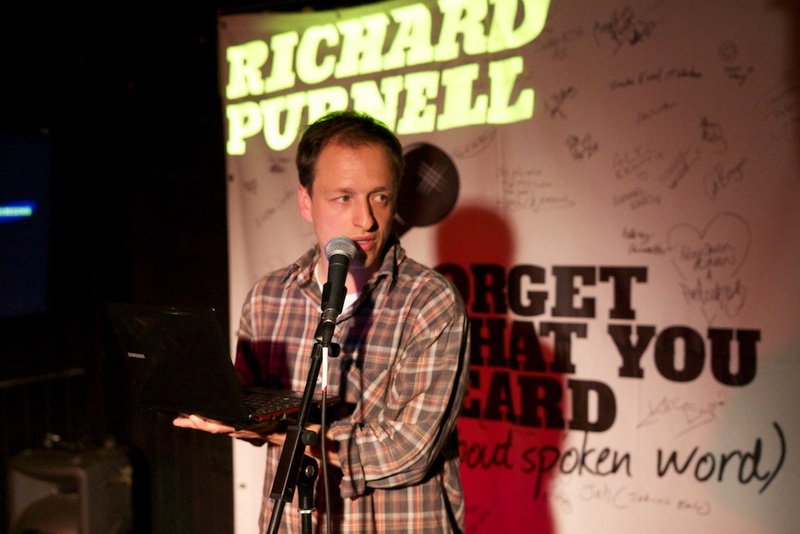 It was also a great honour to get to do a feature set there as my last gig in London.